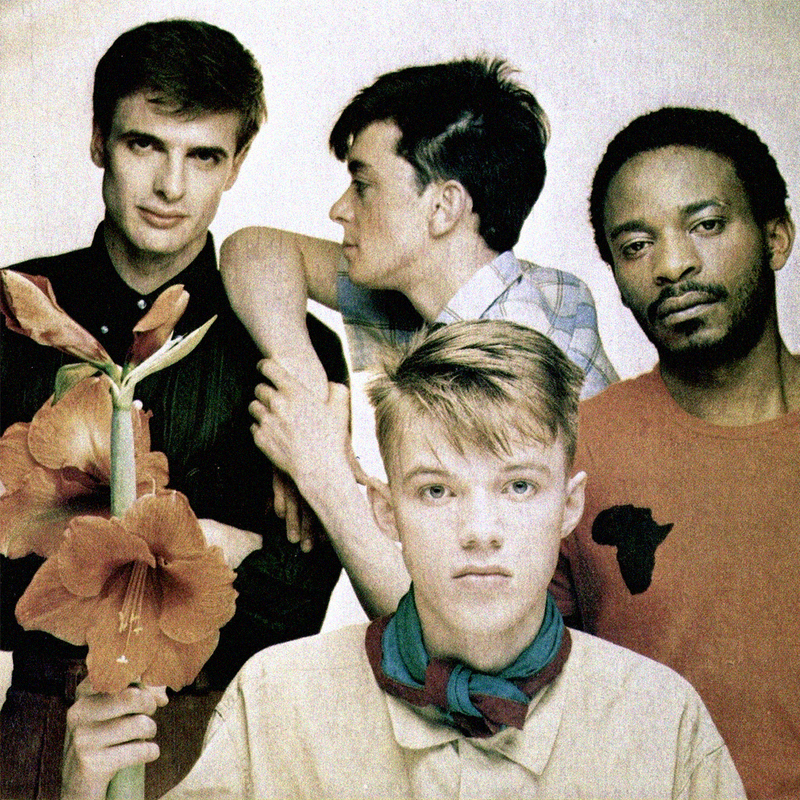 I could begin with a sad lament about how Orange Juice should have been the greatest pop group of the early ’80s. But I’ll leave that ’til the end. So let me tell you instead about ‘The Bridge’. 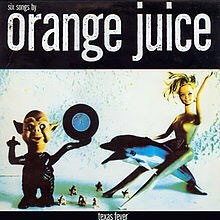 Who, but Orange Juice, could so naturally calibrate a perfect synthesis of Chic and The Velvet Underground, blending them together with such effortless joi de vivre, then, as if playing ‘keepy-uppy’ with a 5-0 advantage, leavening into the mix some owlish ‘Sympathy For The Devil’ ooh-ooh-oohs, not to mention having the downright audacity to be the only band in history to reference Isambard Kingdom Brunel in popular song? PS. This is a rhetorical question. Or I could have begun by arguing that You Cant Hide Your Love Forever, more than any other single LP, invented ‘indie’ music, and taken my cue from there. No OJ, then no Smiths, no Pastels etc etc. But instead I’d rather ask you a question about ‘Craziest Feeling’. Did you know that Malcolm Ross could play guitar with the same shrapnel spraying agitation and wit (yes, guitars can be witty too) as John McGeoch, or that Edwyn Collins, while unashamedly a savant, had a huge passion for the bubblegum trash culture of 50s America and a devilish sense of humour to boot? Or that he really just dressed up some good old-fashioned love songs in a modernist post-punk garb and a pair of dark shades? Or had you forgotten about all that? Then either you are too young or have a short memory. Now why didn’t I start by eliciting readers’ nostalgia through fondly recalling some happening nights at ‘Texas Fever’ (or ’46 West George St’ to us Glasgow folk), the indie disco named in honour of this very record? That would have made sense. But at this point I am half way through listening to the record again – wait a minute, no, I am half way through Remain In Light, or am I? – and in the midst of Edwyn’s sudden despair: “And I can feel the black lies fly/They’re in my sleep, they’re in my eyes/I hate this head, these feet and hands/I’m tired of being a man”, he exclaims on the scything dark bubble-funk of ‘Punch Drunk’, probably the best Josef K record that Orange Juice ever made. That’s because it was written by Malcolm Ross. It might be a million miles from the positivity and innocence of YCHYLF, but that’s because Edwyn knows what it means to be happy and to be sad. Sometimes all at the same time. I should have set out some context and told you how 1984 was a dreadfully difficult year for Orange Juice. It undoubtedly was. Four would soon become two. And not long after, none. But you can read about that elsewhere. The real truth of the matter is that David McClymont’s fingers fell off playing bass on ‘The Day I Went Down To Texas’. Yes sir, they fell right clean off. He and Zeke had to work their goddam socks off to put ’em back on. Son of a gun. Surely it would have been prudent and fitting to acknowledge Edwyn’s heroic and courageous battle in his recovery from a dual cerebral haemorrhage? Heartbreakingly sad. But I think Edwyn would be happier knowing that his songs – songs I’ve lived with and grown up with and played air guitar to and danced along to and thought about and cried over (“There’s a place in my heart/I wish that your eyes could see/And there’ s no one on earth/Who loves you as much as me”) and laughed about (“Glory hallelujah, gonna sock it to ya!” – both from the same song people!) – are loved very dearly indeed, almost none more so than ‘A Place In My Heart’ with those little Buffalo Springfield guitar licks gilding a sublime slice of blue eyed soul. Let’s talk about whether or not Texas Fever is an album or a mini-album or an EP? On second thoughts, let’s not bother. Who the hell cares? I keep thinking as that bass intro steadies it’s nerves at the beginning of ‘A Sad Lament’ that we’re heading into ‘Sister Ray’ and while I adore ‘Sister Ray’ it’s hard not to feel an overwhelming sense of relief and then joy, yes joy – a goosepimply shivery crying and laughing at the same time kind of joy – when that organ arrives to elevate it and save it from the devil’s clutches. Why is it when Edwyn sings: “You came exactly on the hour/Such precision worries me” that I want to punch the air with delight? Or that today ‘A Sad Lament’ sounds not only like Orange Juice’s greatest ever moment, but the finest pop moment of the ’80s? If I could tell you why I surely would.